Reserve your space! No money due now. Join us for the memories to last a lifetime. Italy in September... the hordes of summer tourists are gone and the weather is perfect with average daily highs around 80 degrees and plenty of sunshine. We'll spend three nights in the beautiful and well located Building Hotel in Rome and four nights in the Grand Hotel Tamerci & Principe in Montecatini Terme, with a half day stop in the picturesque hilltop town of Orvieto... truly the trip of a lifetime. From our hotel in Rome you'll be able to explore all the city has to offer, and from our base in Montecatini Terme we'll be able to visit nearby Florence, Lucca, Pisa, Pistoia and more. 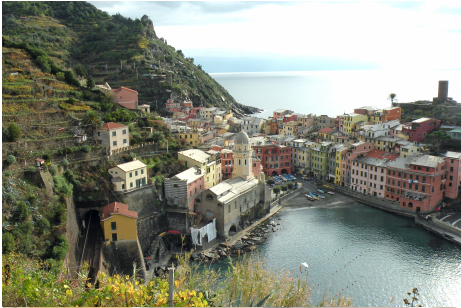 So many truly beautiful Tuscan hill towns to choose from... or take a train ride to the nearby coastal towns of Cinque Terre, perched above the sapphire Mediterranean. $ 1959 includes airfare, all air taxes and fuel surcharges, all transfers in Italy, three nights Rome in the 4 star Building Hotel and 4 nights in Montecatini Terme in the 4 star Grand Hotel Tamerci & Principe Montecatini Terme with breakfasts daily, a guided tour of Rome including the Coliseum and ancient Roman Forum, a stop in Orvieto on the way from Rome to Montecatini with free time to explore and have a leisurely lunch, a lunch stop with some free time in Grosetto on the way back to the airport, and a pre-departure meeting in Easton before we go. Price is per person based on double occupancy. A $499 single supplement applies to solo travelers. If you've ever wanted to visit Italy this is your chance. You won't find a better value!! Especially since September is the end of high season... the weather is warm but not too hot and the crowds are low. The culinary experiences in this part of the world are to die for and the bottle of house red wine you just ordered with your dinner is probably as good as you've ever tasted! Monetcatini Terme is a classic Tuscan hill town. The healing waters that spring from the earth there have been drunk, soaked in, and talked about since Etruscan times. The town is totally walkable from our centrally located four star hotel. From our base here you'll have ample time to soak up the beauty of this region on your own. 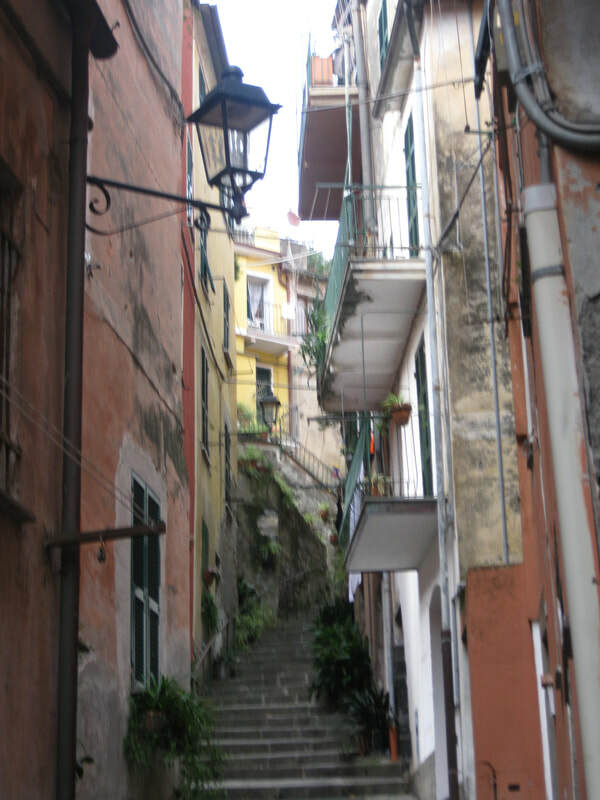 Take a train ride to one of the many nearby hill towns or head to the coast to walk between the charming seaside villages of Cinque Terre, or just hang out in Montecatini wandering thru the alleyways, enjoying some local cafes and settling into an easier rhythym and unhurried lifestyle. Rome needs no introduction... The Coliseum, the ancient Roman Forum, The Vatican, Trevi Fountain, the Spanish Steps, the piazzas, the food, the wine and the twisting cobblestone alleys and hidden restaurants of the Trastevere neighborhood on the banks of the Tiber River. 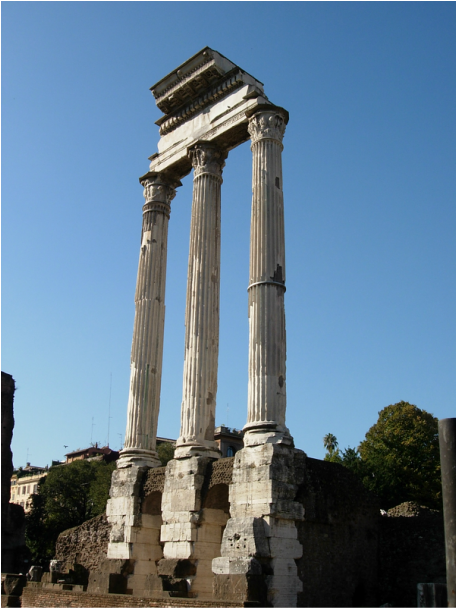 After our guided sightseeing tour upon arrival you will have plenty of free time to explore these wonders on your own or join us for an optional tour of the Forum and Coliseum. Orvieto lies halfway between Rome and Florence and is one of the most striking, memorable, and enjoyable hill towns in central Italy. Theis gem of a town sits majestically above the valley floor atop a big chunk of tufo volcanic stone, overlooking the cypress-dotted Umbrian plains. It's a delightful, perfectly preserved, and virtually traffic-free world highlighted by a spectacular cathedral and some of Italy's best wine. Explore - We'll also be offering a couple groups options. In Rome we'll have a half day guided tour of the Coliseum and Forum, and from Montecatini we'll have a guided tour of Florence including entrance to the Ufizzi Galleries... the 14th century Medici family offices turned into a fabulous museum featuring some of the Renaissance's most famous paintings. From our base in Montecatini Terme there are dozens of options by train... Pistoia and Pescia are less than 20 minutes away. Both are spectacularly preserved medieval hill towns and both are mostly off the beaten tourist trail. Train tickets are a couple Euros round trip and it's so easy. There's also the nearby town of Lucca with it's protective walls encircling the city. A little farther afield are Barga, Pisa, Bologna or Genoa on the coast. So many great options to choose from! Day 1 Saturday September 8 - Depart from Newark Liberty International Airport on Norwegian Flight DY7024 departing at 11:30 PM. Day 2 Sunday September 9 - Arrive in Rome and go for a half day sightseeing tour of the city before checking into our hotel. Overnight in The Building Hotel Rome. Day 3 Monday September 10 - After breakfast at the Hotel we'll head over for a tour of the Coliseum and Roman Forum. The rest of the day is free to explore all that Rome has to offer. Overnight in The Building Hotel Rome. Day 4 Tuesday September 11 - Free day in Rome! 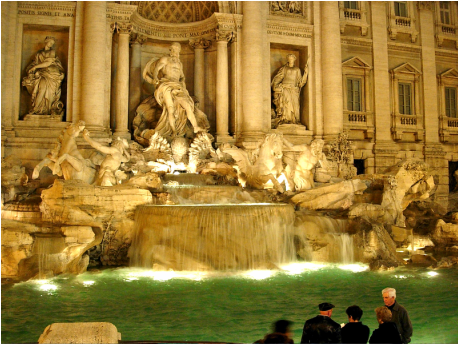 See the Trevi fountain, the Spanish steps, wander through Trastevere... whatever your heart desires. Overnight in The Building Hotel Rome. 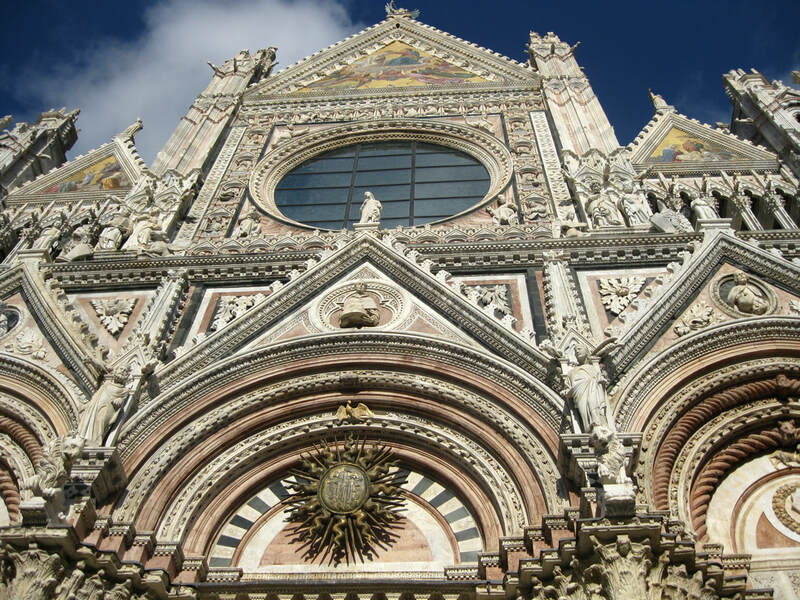 Day 5 Wednesday September 12 - After breakfast we'll leave Rome on our private coach and head north to the Umbrian hill town of Orvietto, where we'll have free time to wander around this gem of a town, check out the famous cathedral and have time for some lunch. Our final destination will be the spa town of Montecatini Terme, where we'll spend the next four nights. Overnight in the Grand Hotel Tamerci & Principe Montecatini Terme. Day 6 Thursday September 13 - Free day to check out the sights and sounds of the town. Overnight in the Grand Hotel Tamerci & Principe Montecatini Terme. Day 7 Friday September 14 - Free day - Optional group trip to Florence to see Michelangelo's David and the Uffizi Galleries Museum, and some free time to wander the city on your own. Day 8 Saturday September 15 - Free day. What to do? Visit Pisa, Lucca, Cinque Terra? All easily accessible by train. Or maybe visit the sleepy little hill town of Pistoia, 15 minutes away by train and nary a tourist in sight. Simple gorgeous. Day 9 Sunday September 16 - After breakfast we head south along the coast for our late afternoon flight home. 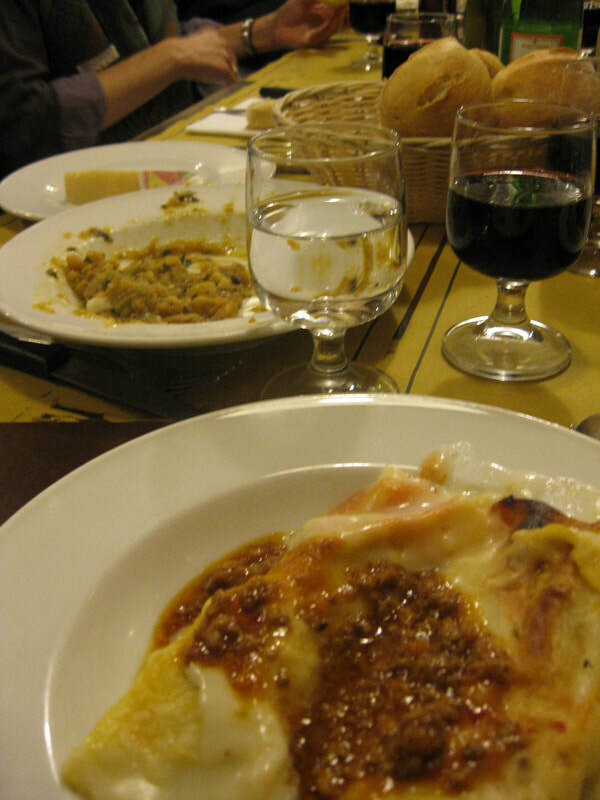 We'll stop in the often overlooked town of Grosetto for lunch and a look around on the way. Norwegian FLight DY7023 depart Rome 6:05 PM and arrives in Newark at 9:25 PM.